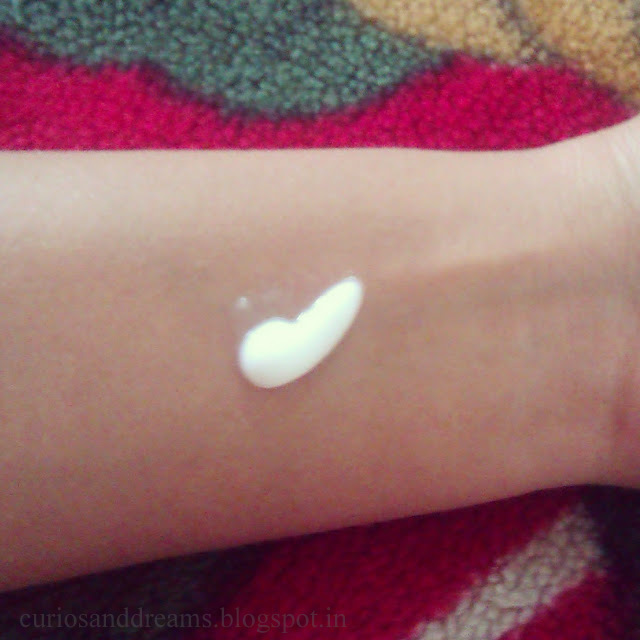 So in one of my last posts, I had shared with you about the bad experience my room-mate had with the Vaseline aloe body lotion..and that I had given her a few suggestions before she went ahead and did exactly what I had asked her not to.. (she does this ALL the time). Anyway, getting past that habit of hers, this was one of the lotions that I had recommended to her. 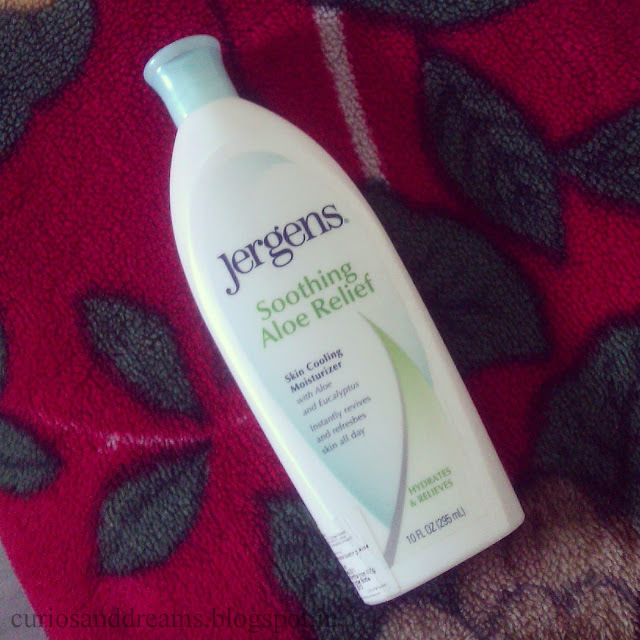 Jergens Soothing Aloe Relief (skin cooling moisturizer with aloe and eucalyptus). The bottle is a nice sturdy one, white in colour, with a bluish green flip top cap. I also like the shape of the bottle. It is completely leak proof. I have travelled with it and with no messy incidents happening. The lotion is white in colour. The consistency is nice and light but it still feels like a good proper lotion.. you do understand what I am saying right? Its neither too light nor on the heavy side. It's perfect for the summer months. 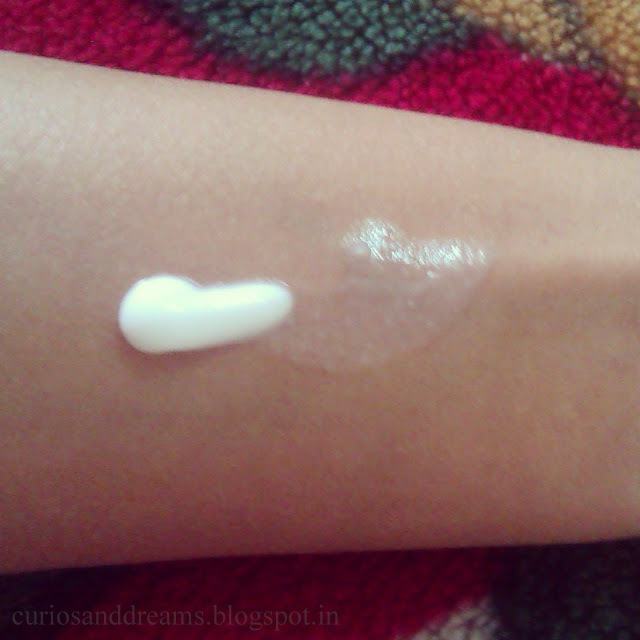 Although its a nice light lotion, it gives adequate mositurization. I apply it in the morning and that's enough to last me the whole day. And then once again applied at night. (For reference: I have normal skin.. which sometimes goes a bit dry too. 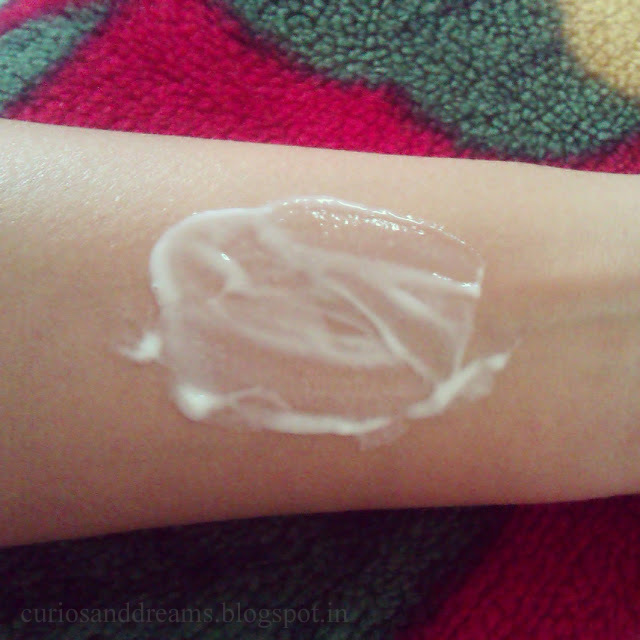 My roomie tested it and liked it quite a lot, and she has dry skin). Yes. For the summer months, this will be my go-to body lotion. I recommend it to anyone looking for a non-greasy, freshening, and moisturizing properties in their body lotion. 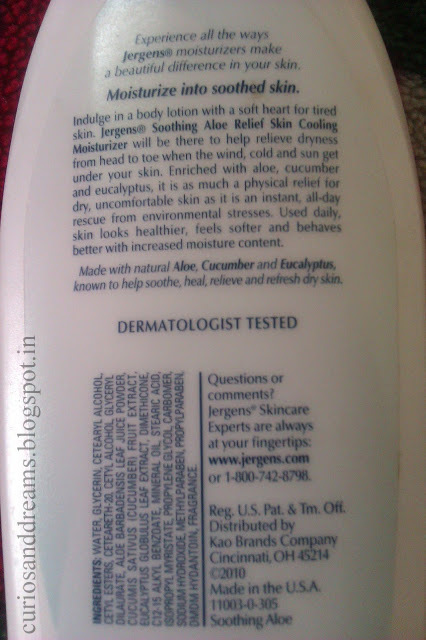 Jergens soothing aloe relief is a must buy for Indian summers!